using accounting and finance in a variety of roles and organisations. Past graduates have gone to work at, for example, Bloomberg, the NHS and Tesco, or at small/medium sized firms. We've also had students gaining training contracts with the ‘Big Four', including Deloitte and KPMG. Others have chosen to continue their education with postgraduate study. David Holloway has risen steadily up the career ladder to become a partner in a firm of chartered accountants just 10 years after graduating. 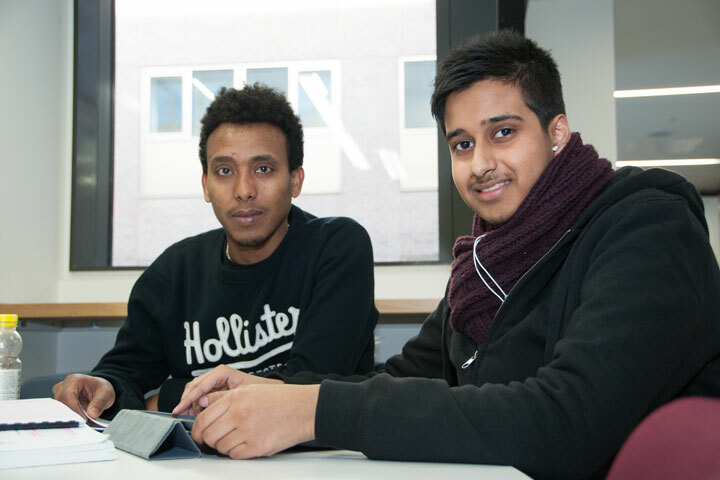 "I was interested in a business-related course but felt that 'business studies' was too general. I believed that an accounting degree would lead on to a professional qualification that would give me a variety of career options. On the course I liked the flexibility and opportunity to study varied topics such as law, economics and statistics as well as human sciences. A highlight of my time at Kingston was meeting all sorts of characters. Living 300 miles from home between the ages of 18 and 21 was a great experience and gave me the opportunity to broaden my horizons. That was the attraction of applying and I was not disappointed – Friday nights in the old Kingston Hill bar were always eventful. After I graduated, I joined Ribchesters Chartered Accountants as a trainee chartered accountant, qualifying as ACA (a chartered accountant) in 1995. From here I joined Robson Laidler (a large regional practice of chartered accountants) as an audit manager. In September 2000 I re-joined Ribchesters as senior manager and associate and became a partner in July 2001. Ribchesters is a four-partner firm with offices in Durham and Newcastle upon Tyne. I am responsible for more than 200 business clients. I am also a training partner, IT partner and audit compliance partner. The most enjoyable aspect of my role is working with people. For many of my clients I am their first point of contact for all matters financial. Helping people build their businesses is very rewarding and satisfying. The Kingston experience gave me the confidence and belief to face the world of work. I believe that this gave me the ability to walk into any situation without intimidation or fear." Paul decided not to pursue a job in finance, but still found his accounting and finance degree provided an invaluable foundation for a fast-moving career. "I didn't think I wanted to go to university or do a degree, so I started off at Kingston just doing a one-year foundation course in accounting and finance. However, I had such a fantastic time during that year, with great classmates and lecturers, that it totally changed my perception of what university would be like and I stayed on for another two years to complete the BA honours degree. I hadn't intended to do something that was purely financial, but I found the course was far more wide ranging and varied than I had envisaged. It provided a really good grounding in all aspects of business. I also loved the whole experience of university life and living in London. Since graduating, I have had a great career, although it sounds uneventful because I have stayed with one company. I started a Saturday job at Marks & Spencer when I was 16. I carried on working for the company in the Kingston store part-time throughout my degree and when I graduated I was offered a job as a management trainee. Since then I have changed job within the company every couple of years and have risen steadily up the career ladder. My roles have included store manager, sales development manager, buyer and category manager. I am now franchise manager for Simply Food. Simply Food is Marks & Spencer's small food format. I develop the range and negotiate and run franchises in places such as railway stations, motorway service stations, garages and Heathrow Airport. What I like about my job is the combination of working in an ever-changing dynamic retail environment and – I know it's a cliché – great people. I work with fantastic individuals and they make Marks & Spencer a great place to work. There's also the added bonus that I get to try all the food! Looking back, I would say the most useful element of the degree is that it provides you with such a broad business understanding. As well as the financial elements, you learn about numerous other areas such as marketing and human resources. This has helped me take on and understand many different roles. The degree gave me such a good business grounding in so many areas that it has seen me through every career change. My advice to others considering this course but unsure if they want to pursue a financial career is – don't be put off by its title. Some of my peers went into finance and some didn't. With this degree you're taught about accountancy and finance and a plethora of other interesting things as well."